Adrenal Fatigue Protocol or Adrenal Fatigue Protocol HPA? Dr. Wilson’s Adrenal Fatigue Protocol HPA has three of the same products as the original quartet but it replaces Herbal Adrenal Support Formula with Herbal HPA – its licorice-free substitute. Because cortisol enhancement can be very beneficial for people experiencing adrenal fatigue, we recommend that only people with high blood pressure who are sensitive to licorice use the Adrenal Fatigue Protocol HPA instead of the Adrenal Fatigue Protocol. Super Adrenal Stress Formula: Take 1 caplet 3-5 times a day (1 upon rising, 1 at noon and 1 before bed; 1 additional caplet may be taken up to 2 times throughout the day, if desired, or use as directed by your healthcare practitioner. Adrenal Rebuilder: Take 1 caplet 3-6 times a day (1 upon rising, 1 at noon and 1 before bed; 1 additional caplet may be taken up to 3 times throughout the day, if desired), or use as directed by your healthcare practitioner. Adrenal C Formula: Take 1 caplet 3-6 times a day (1 upon rising, 1 at noon and 1 before bed; 1 additional caplet may be taken up to 3 times throughout the day, if desired), or use as directed by your healthcare practitioner. Over-stimulation of your adrenals can be caused either by a very intense single stress, or by chronic or repeated stresses that have a cumulative effect. * Adrenal fatigue can be mild and transient, for example the tiredness typically experienced during recovery from an illness or after vigorous exercise, or it can be severe and lasting enough to greatly reduce your ability to keep up with your life’s demands and maintain normal work and home activities. Adrenal fatigue is not the same as Addison’s disease, which results from damage to the adrenal glands through disease or physical injury. More information about adrenal fatigue can be found at Dr. Wilson’s website adrenalfatigue.org. What is Dr. Wilson’s Adrenal Fatigue Protocol? What do the different products in Dr. Wilson’s Adrenal Fatigue Protocol do? How does Dr. Wilson’s Adrenal Protocol work? Why take all four products in Dr. Wilson’s Adrenal Fatigue Protocol? 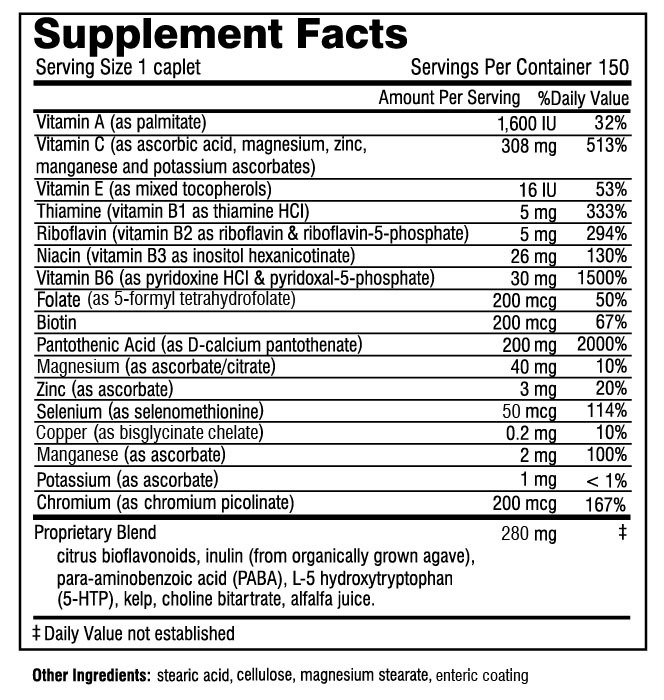 Why do the supplements in Dr. Wilson’s Adrenal Fatigue Protocol cost more than some other adrenal products? Does Dr. Wilson’s Adrenal Fatigue Protocol contain any hormones or steroids? Does Dr. Wilson’s Adrenal Fatigue Protocol contain stimulants? Who can take Dr. Wilson’s Adrenal Fatigue Protocol? What kind of stress is Dr. Wilson’s Adrenal Fatigue Protocol designed to help? How quickly will Dr. Wilson’s Adrenal Fatigue Protocol begin to work? What is the best way to use Dr. Wilson’s Adrenal Fatigue Protocol? How long can I take Dr. Wilson’s Adrenal Fatigue Protocol? Does Dr. Wilson’s Adrenal Fatigue Protocol lose its effectiveness with continued use? Can I take too much of Dr. Wilson’s Adrenal Fatigue Protocol? Is the quality of Dr. Wilson’s Adrenal Fatigue Protocol reliable? How does Dr. Wilson’s Adrenal Fatigue Protocol work? Through several decades of working with thousands of patients, Dr. Wilson was able to determine which nutrients and herbs optimally benefit people experiencing adrenal fatigue and how much of each is required to achieve the desired results. * To accommodate sufficient quantities of all these nutrients and herbs, he found it necessary to create four supplements. 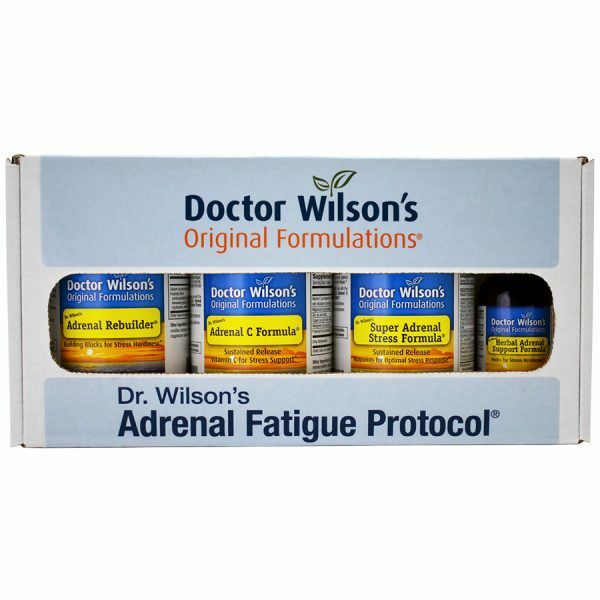 The result is Dr. Wilson’s Adrenal Fatigue Protocol: four products with synergistic yet unique modes of action designed to be used together. * The four supplements in Dr. Wilson’s Adrenal Fatigue Protocol provide significant benefits individually; however, during adrenal fatigue optimum results are achieved by taking all four together. * As in most complex systems, there are various factors that go into making a whole system function well. For example, with your car you have to make sure that the engine parts are sound, the timing is correct, fuel is available and the oil is clean, among other things. All of these factors have different requirements and all must work well to keep your car running smoothly. In your stress response system, the glands of the hypothalamic-pituitary-adrenal (HPA) axis must be structurally sound, the adrenal glands must have adequate amounts of specific nutrients for hormone production, vitamin C must be present in sufficient quantity to meet the increased demand for vitamin C and need for antioxidants during stress, and (HPA) axis responsiveness must be balanced. When you buy a product, you are really buying the expertise and integrity of the company behind the product. 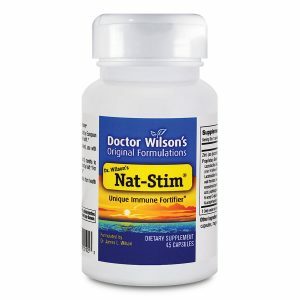 The key to the extraordinary effectiveness of all of Dr. Wilson’s Original Formulations supplements is that they are formulated to produce results by a physician who is an authority on the effects of stress on the body with decades of hands-on clinical experience, a PhD in human nutrition, a research science background, and expertise in formulation. Dr. Wilson’s goal is to create supplements you can rely on to make a difference because he believes that nothing is more valuable than good health. In addition, we use only high quality ingredients in optimally bioavailable forms in the amounts that are clinically effective. * This often means that we have to pay considerably more for a form of a nutrient or herb that is better utilized by the body or contains more active components. Some of our ingredients are hard to find and there may only be one or two sources in the world that meet our standards for purity and potency. In addition, our manufacturing processes are very exacting. 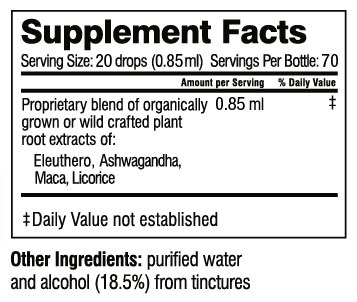 For example, the glandular material in Dr. Wilson’s Adrenal Rebuilder comes from humanely raised animals, is processed to remove hormones and dried at a low temperature to preserve the nutrient integrity; the sustained release in Super Adrenal Stress Formula and Adrenal C Formula is integrated throughout the caplet to optimize absorption and utilization of every nutrient; the herbs in Herbal Adrenal Support Formula and Herbal HPA are organically grown or wild crafted and only the part of the plant with the most potent desired properties is used*. All of our products go through third party testing and we and our manufacturers are independently inspected and certified to be compliant with all current Good Manufacturing Practices (cGMP) set out by the FDA. 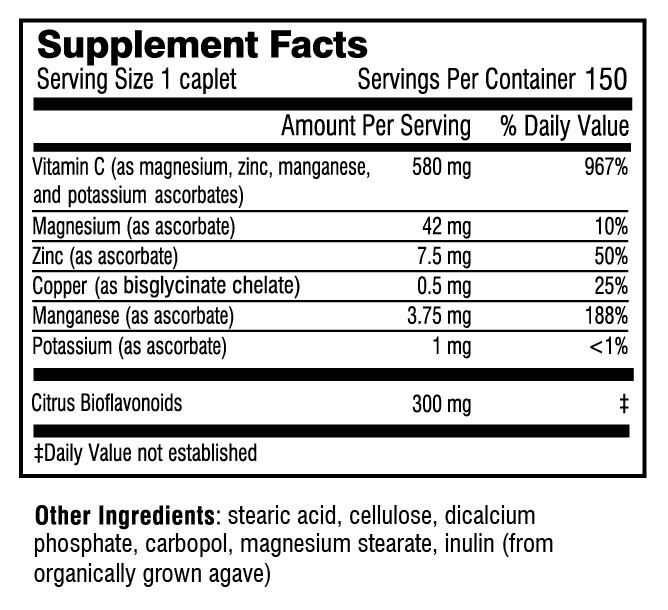 Despite all of this, when you make a real apples-to-apples comparison of our adrenal support products with others on the market (comparing your cost to get the equivalent amounts of the same or similar key ingredients in other company’s supplements that are in our supplements) – our products are actually a much better value as the summary chart below illustrates. Who can take Dr. Wilson’s Adrenal Fatigue Protocol ? If you are experiencing adrenal fatigue, burnout or any kind of depleted adrenal function, Dr. Wilson’s Adrenal Fatigue Protocol works best when used together. If you are working with a health practitioner who understands adrenal fatigue, follow their guidelines for how much and how often to take each of the four supplements. How long can I take Dr. Wilson’s Adrenal Fatigue Protocol ? Can I take too much of Dr. Wilson’s Adrenal Fatigue Protocol ? Adrenal Rebuilder contains nutritive glandular concentrates without hormones; therefore, to our knowledge, taking more than the recommended amount has no direct adverse effect on the body. * However, taking more than about twelve caplets a day probably will not increase its effectiveness. 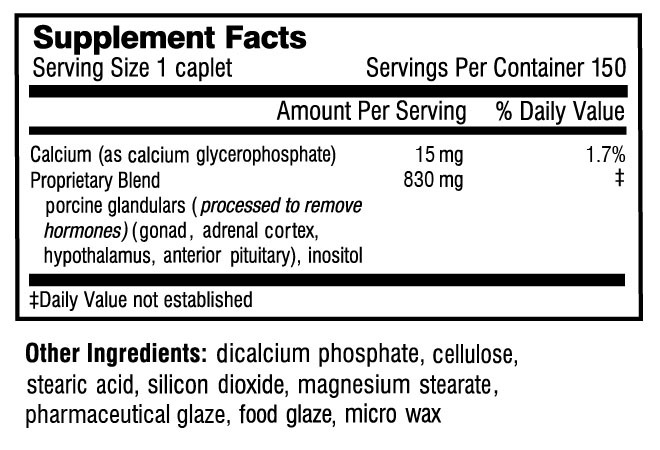 * Although it is not intended to be a supplement for animals, we have had calls from people whose dogs have eaten an entire bottle of Adrenal Rebuilder without any adverse effects. I’ve been taking Dr. Wilson’s Adrenal supplements for over 8 years. They have saved my sanity and enabled me to live a normal, stable life….most of the time 🙂 I thank God for Dr. Wilson! I have used other adrenal support products in the past, but only Dr. Wilson’s products have made measurable impacts on how my clients feel. This is also supported by improved lab results and happy patients. I’m a 61 year old woman still actively working with children in a full-time position and didn’t think that I’d be able to continue with it until I started using Dr. Wilson’s products. 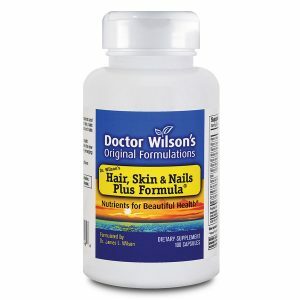 Dr. Wilson’s are supplements that have proven themselves useful. I was excited that his test and book described my symptoms so closely but I was not convinced that these supplements would work any better than others I had tried. the incremental gains this far is HUGE for me. Thank you, Dr. Wilson, for your work. I’m the general manager of a construction company and under an incredible amount of stress. I needed more than a break, and I found it when I read your book and started those supplements. I appreciate the fact that I have my life back. Thank you! I am seeing my osteopath on Friday and I can’t wait to tell him how good I have been feeling. My body loves these supplements. THANK YOU!!!! This is a brief comment since starting taking the supplements for adrenal support. This is my 3rd week and I am feeling a lot more like me. I am not just going through the motions of life. I am actually enjoying the moments. My life is changing. I was just thinking about what a life saver Dr. Wilson has been to thousands of people. I’ve been taking the protocol for a few weeks and can’t believe that I am actually feeling better. Thanks! Thank you so much, my life is now worth living and I can face the future with hope instead of despondency. I thoroughly recommend this adrenal treatment programme to anyone. I have seen good results in my daughter’s adrenal fatigue from using these adrenal fatigue products. And customer service has been very good. Thank you. I started taking the adrenal fatigue supplements as recommended by my doctor and pharmacist and they are amazing! I love these products. They are better than any I’ve ever tried. I have already told all of my friends and family. I started on the Adrenal Fatigue protocol back in May. I am not 100% yet, but I’m on my way! Thank you, Dr. Wilson!!! I’m recommending the adrenal products to all my friends that need it and I am purchasing the full line of products today as a Christmas gift for my friend. I was finally given your adrenal products by Pensacola Apothecary after having a saliva test and I can tell a difference, but I still have a very long way to go. Thank you for your adrenal products! I love the products! I am just impatient to complete my recovery, but I am definitely doing much better since starting the adrenal fatigue products. My whole life is indebted to Dr. Wilson. These adrenal products are the only thing that seems to help. They work better than anything else I have tried. I have been taking the Adrenal Rebuilder, Super Adrenal Stress Formula and the Herbal Adrenal Support Formula for close to a year now and have really seen improvements. I added the Adrenal C and wow! I actually have some energy! After many different diets and vitamin supplements, I decided to take the plunge and try Dr. Wilson’s supplements. If only I had tried them sooner. I am taking the Thyro-Balance and adrenal supplements and could not feel better if I tried!! The adrenal products have helped tremendously. I love your adrenal fatigue products – they are helping me so much. I absolutely love your adrenal fatigue products. They are like little miracle pills. I have never ever taken products like this. You have made a tremendous difference in my practice and your adrenal products are unmatched. To your health! I love your adrenal fatigue products; they work. Between taking the supplements and adhering to the suggestions in the book about what to eat, when to eat, how much sleep and exercise to get, etc., I feel better than I have in years. Thanks so much!! I’ve been joking and happy because I have my adrenals back! This stuff is a life saver. I recommend Dr. Wilson’s products for battered women and those recovering from post-traumatic syndrome. I started taking Dr. Wilson’s products for adrenal fatigue about a year ago and they have changed my life so much. Thank you so much!!! Dr. Wilson’s adrenal products have helped me start a new life. I love these products and will tell all I know that might have adrenal fatigue that they should take Dr. Wilson’s products! There is 100% no other adrenal product that I trust more than this. I tell everyone about these products. I am very grateful for these products. We need more doctors to know about them and how they can help people. This is such a pervasive problem and yet it is still being ignored. I cannot tell you what it has meant to me to have them. Thank you. 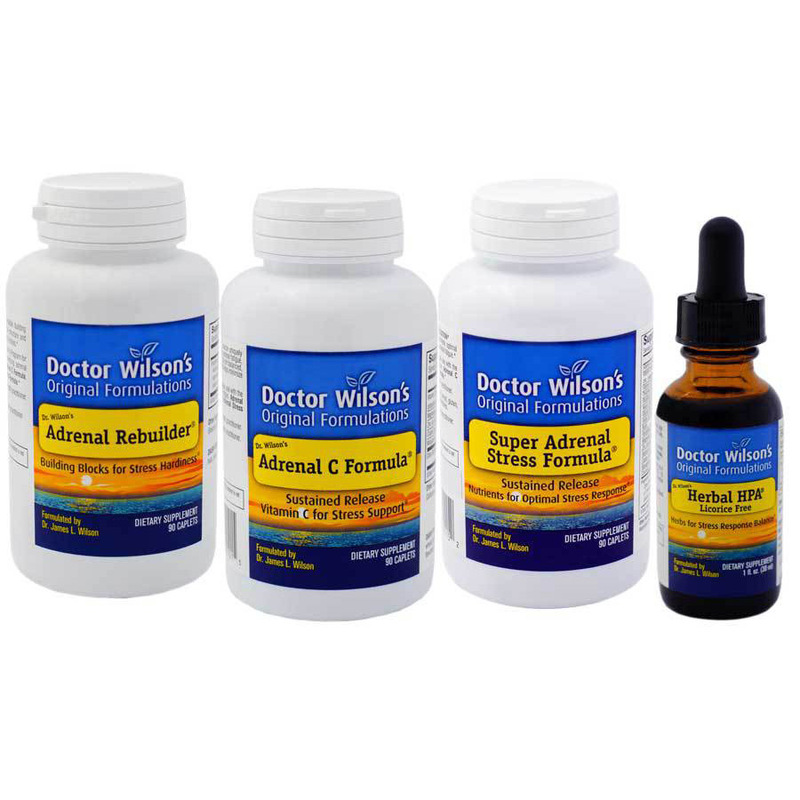 I have tried many adrenal support supplement brands over the years and I must admit that none of them have even come close to working for me as Dr. Wilson’s Future Formulations brand. The adrenal fatigue products have worked so well for me that I am recommending them to all my friends that have some of the symptoms and could possibly be suffering from adrenal fatigue. Thank you! 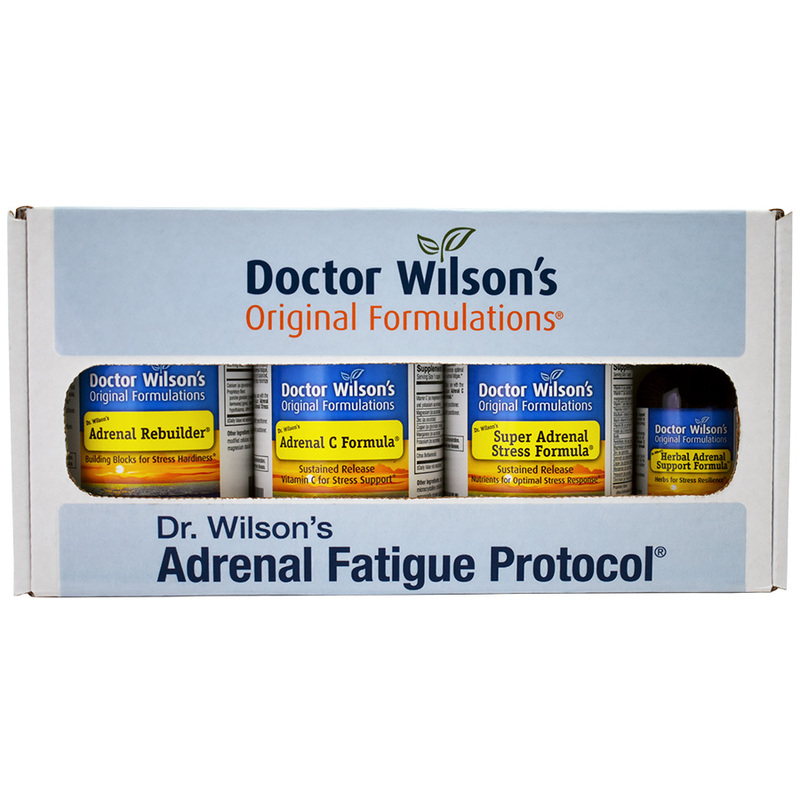 I love the adrenal fatigue products that Dr. Wilson has formulated. They have really helped me a lot and I am very pleased with them. I just started taking the Adrenal Rebuilder, Super Adrenal Stress Formula, Thyro-Balance and Herbal Adrenal Support Formula a week ago and I can already feel the difference. I have only been taking the adrenal supplements for 10 days and I already feel a significant positive difference in how I feel! With other brands I believe people are simply taking shots in the dark but I believe in Dr. Wilson’s. Thank you for these products – they have given me new hope. I work in the supplements industry and I can honestly say that Dr. Wilson’s adrenal supplements are presently the best ones available in the market. Dr. Wilson’s supplements are not the cheapest but are worth it. I love your adrenal products so much that my greatest fear is that one day you go out of business and I wouldn’t be able to get them from anywhere else. I will help spread the word and will personally recommend these products to anyone who I know might benefit from them. Thank you! I just want you to know that Dr. Wilson’s adrenal products have changed my life and those of my patients. I have all my patients on the program and all our lives are changing. I am allergic to every supplement out there and I had all but given up hope until I started on Dr. Wilson’s adrenal products. I am happy to say that it has been 3 weeks and I am on the severe program, feeling wonderful. I started Dr. Wilson’s adrenal supplements that my partner ordered, and in the last few days I have felt a strength in my body and a strength inside that nothing else has given me and I have new hope. Thank you Dr. Wilson! I wanted to let you know that after years of feeling nothing but fatigue and anxiety, Dr. Wilson’s adrenal products have made a huge difference in my life in just two months. I have been taking Dr. Wilson’s supplements for two months now and I cannot express to you enough what a difference it has made in my life. I feel like a little light went on inside me for the first time in years. Fall term was extremely stressful but I was able to handle the stress well, thanks to the supplements. I am thankful to have found you. The Future Formulations adrenal products have really made a difference. I attribute these products to putting me back on my feet. I would not want to be without them. I am very grateful for these products. I am so impressed with these adrenal products. I want to try everything Dr. Wilson has now. I have been doing great using your adrenal formulas even with the holidays. I’m sharing the adrenal formulas with lots of people. I so appreciate that you’ve done all the research and wrote the book. My husband suffers from post-traumatic stress syndrome and we have tried everything. Since taking Dr. Wilson’s adrenal products, he finally feels like getting out and doing things. I am telling every medical doctor that I can about these adrenal supplements. I want to make sure I do my part to get the word out. They have changed my life. It has been 6 month since we lost everything and I am so grateful to have these adrenal products to take myself. I know that they have helped me get through this. Please tell Dr. Wilson how thankful I am to be able to give these to my patients. I’ve used Adrenal Rebuilder, Super Adrenal Stress Formula, Adrenal C Formula, and the Herbal Adrenal Support Formula and I don’t feel I would be where I am without the knowledge in his book and the supplements. The adrenal products are a miracle and I’m so grateful to Dr. Wilson! Thank you very much, and, by the way, I am feeling so much better that I cannot believe it. I am a new person and I am so happy that I got your book and your adrenal fatigue supplements. Dr. Wilson’s Adrenal Fatigue program has allowed me to provide better care for my patients, especially when they suffer from stress and fatigue; healing the adrenals is paramount. Bottom line is that I’m on my second month of taking your supplements and I wish I’d known about them sooner. My family is thrilled to “have me back.” Now, they have a hard time keeping up with me. I’ve told everyone I know. I feel like I have truly found a new lease on life. The lifestyle I have isn’t deprived of anything that I crave or wish I had. I’m grateful to my physicians, my wife, and Dr. Wilson and these supplements.